Last November, Paste broke the news that publisher BOOM! 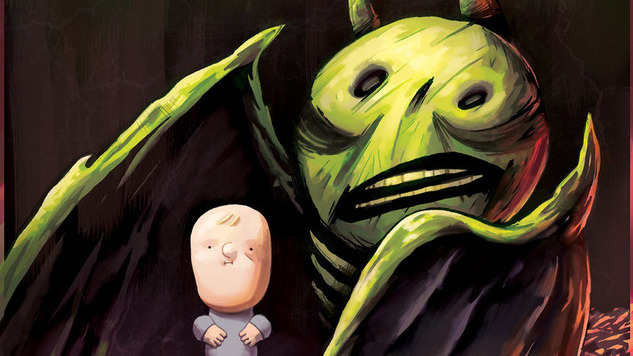 Studios had acquired the first original graphic novel from Patrick McHale, creator of the Emmy Award-winning Cartoon Network series Over The Garden Wall. Bags (Or a Story Thereof), inspired by a somewhat experimental prose tale from McHale, is adapted and illustrated by Gavin Fullerton (storyboard artist, Disney’s Space Chickens in Space) with colors from Whitney Cogar (Steven Universe). Bags (Or a Story Thereof) hits stores and digital retailers July 17, 2019, but Paste has an extra-special treat for readers: an exclusive 10-page preview of Fullerton and Cogar’s interior art. Find that teaser below, and keep your eyes on Paste in the coming months for more information on Bags (Or a Story Thereof.